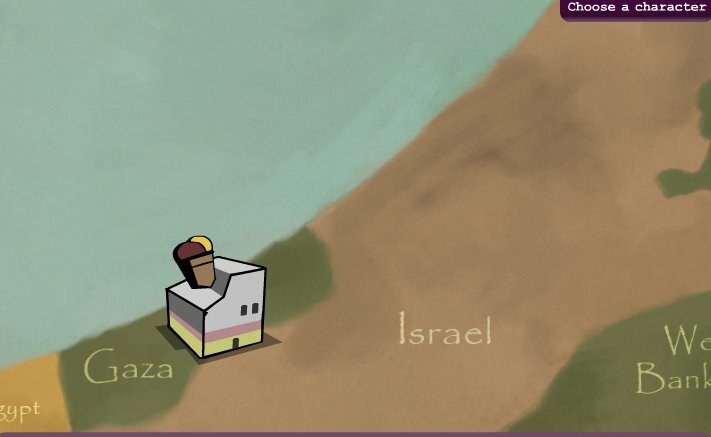 The Israeli NGO Gisha – whose stated objective is to “protect the freedom of movement of Palestinians, especially Gaza residents” and uses “legal assistance and public advocacy to protect the rights of Palestinian residents” – recently released a video game called Safe Passage. Regardless, let’s play the game that – from what I hear – all the kids are talking about! Like most modern interactive video games, they allow you to choose your own character. 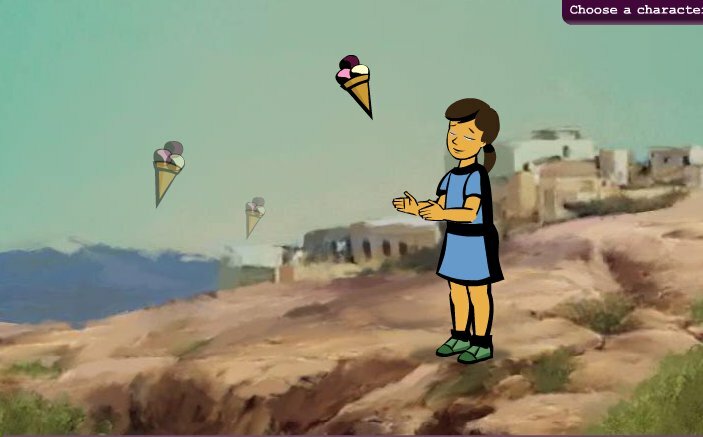 I chose one of Gaza’s many friendly ice cream manufacturers. 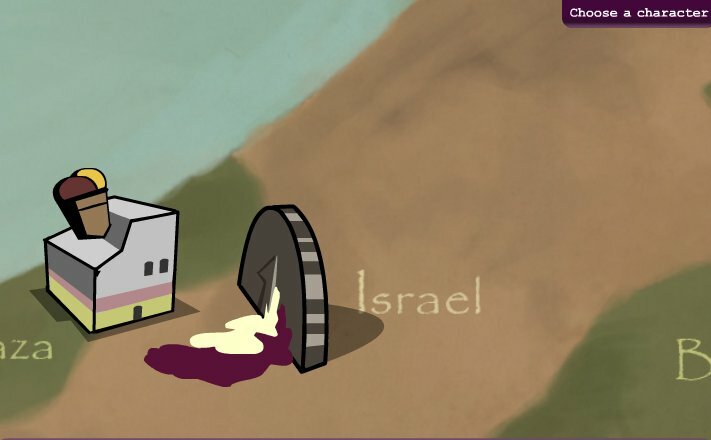 Children in the West Bank eagerly await the arrival of the rich and creamy Gaza treat. Funded by Soros? For Israel’s benefit? Well,Akus, you can’t say they didn’t try. The couldn’t beat Israel on the battle-field though they made attempt after attempt. The whole of the Arab world boycotted Israel for decades and that didn’t do the trick. They can’t best Israel academically or economically so they’ve turned to propaganda and brainwashing, games for children and teens and BDS for the weak-minded. 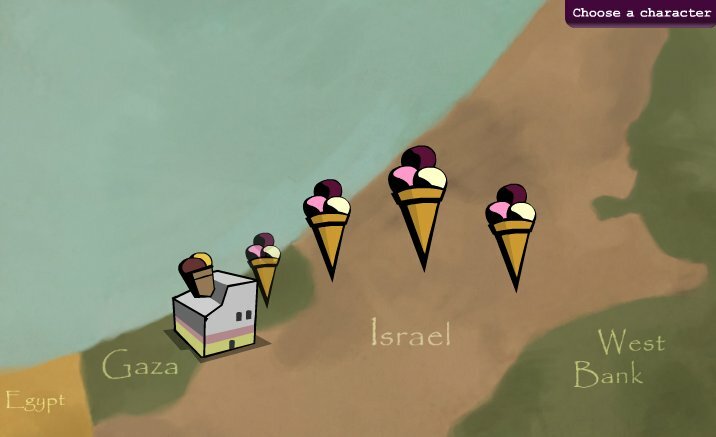 What kind of an “ice cream factory” manufactures kassam rockets? Oh! 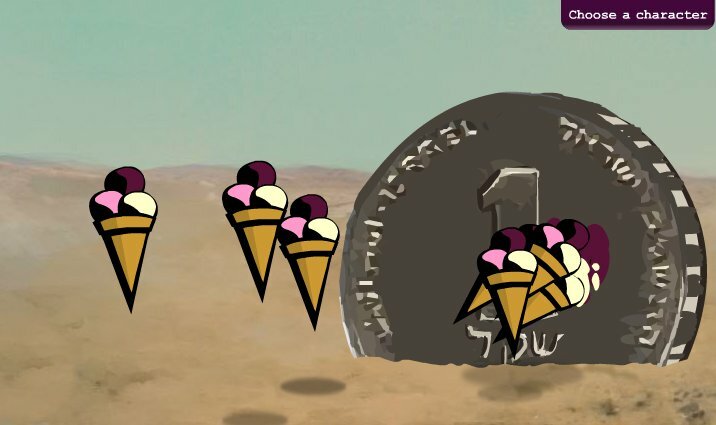 A paleostinian “ice cream factory”! And what kind of an “ice cream factory” has explosive workplace accidents? 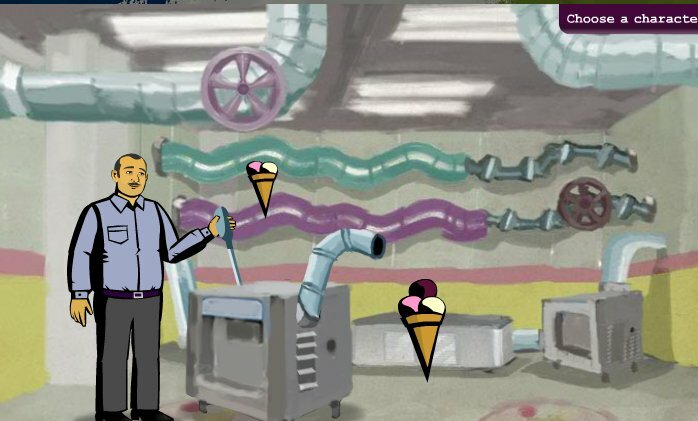 A paleostinian “ice cream factory”. ‘under no circumstances be regarded as reflecting the position of the EU’. They hand the money over,but are not responsible for what is done with it. How generous of them……………Effing AH. About time that the Israeli Government took some action against these people. I would rate this game “J” for Jew-hater. 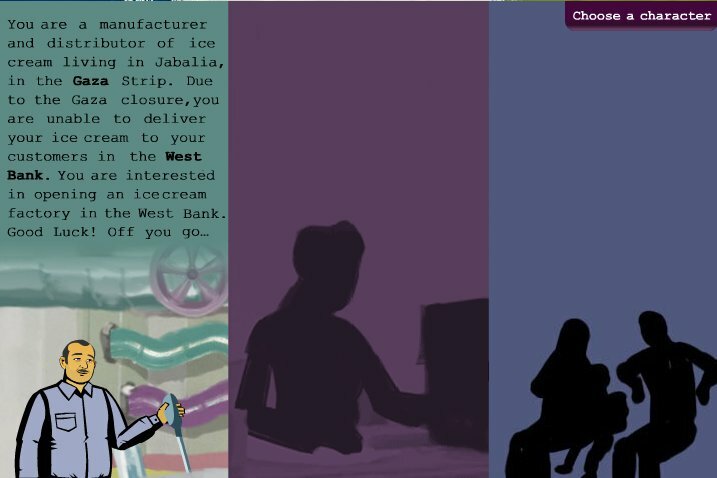 By the way, is that a kitchen knife in the ice-cream maker’s left hand? Where have I seen that before…? Where’s the suicide bomber character? Let’s make this game a little more realistic.